Agelbert NOTE: Hydrogen fuel cell powered trucks are included in this news about Electric ⚡ Trucks. DETROIT, Oct 22 (Reuters) - Tesla Inc Chief Executive Elon Musk put electric heavy commercial trucks on the map in November 2017 when he unveiled the company’s futuristic, battery-powered Semi, booked hundreds of orders and said he would start delivering the vehicles by 2019. Now, it looks like 2020 could be the big year for electric ⚡ big rigs. Incumbent truck makers are accelerating their electric truck projects toward launches that year, while Musk told investors in June production of the eye-catching Semi freight hauler should begin “basically (in the) first half of 2020” instead of 2019. 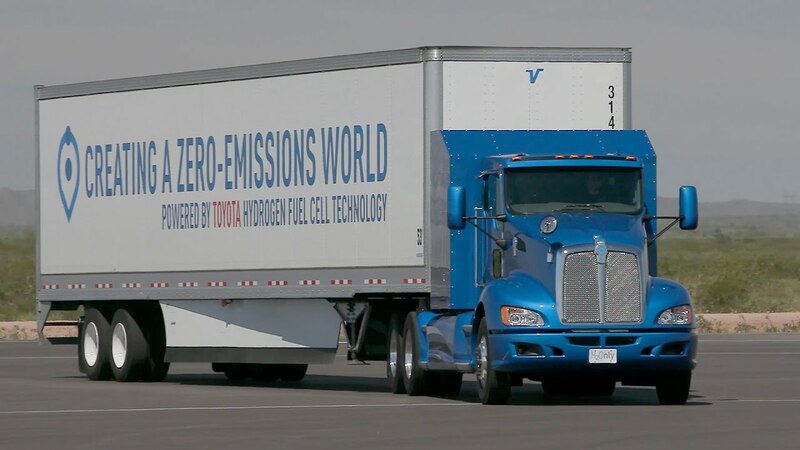 Toyota Motor Corp’s experience at the Ports of Los Angeles and Long Beach illustrates the potential, and the problems for clean truck technology. CEO Musk says the Semi’s range could hit 600 miles. But a spokesperson said running uphill with air conditioning on or running other appliances would cut that range. Many modern 18-wheelers contain televisions, fridges and other appliances. “In many ways we are ideally suited to be an early adopter of this technology because we don’t have much long-haul business,” said UPS spokesman Glenn Zaccara.